Writing, Surviving & Thriving: The at-home workout that isn't for the weak! He mostly ran around me, though, staring and trying to figure out what was wrong with me when I was doing my mountain climbers. He even licked my elbow during the vertical leg crunches! He's so supportive. Go ahead. Do it twice, back-to-back. Dare ya! 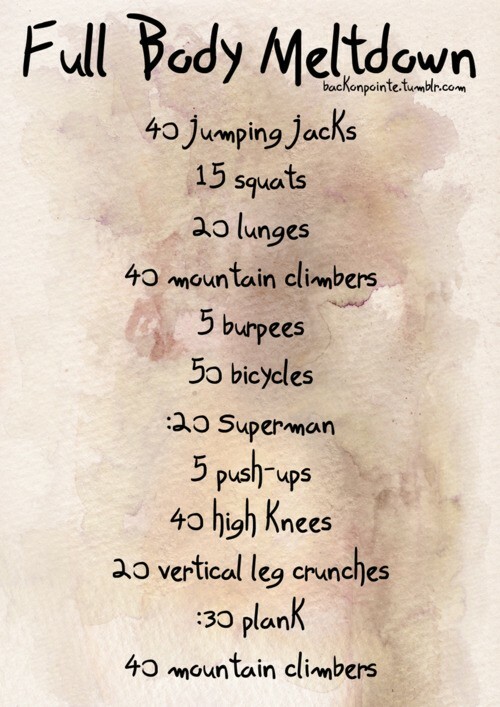 I pinned this workout routine from Hey Fran Hey, a blog full of really cool health and fitness tips. Peep her pics. If this workout gets me anywhere near her profile pic, I'M ALL IN!!! Until next time, I'm off...to find some epsom salt. That last set of mountain climbers almost took me out.